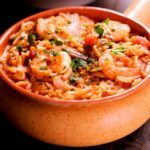 Instant Pot Orzo with Shrimp, Tomatoes and Feta - What's In The Pan? 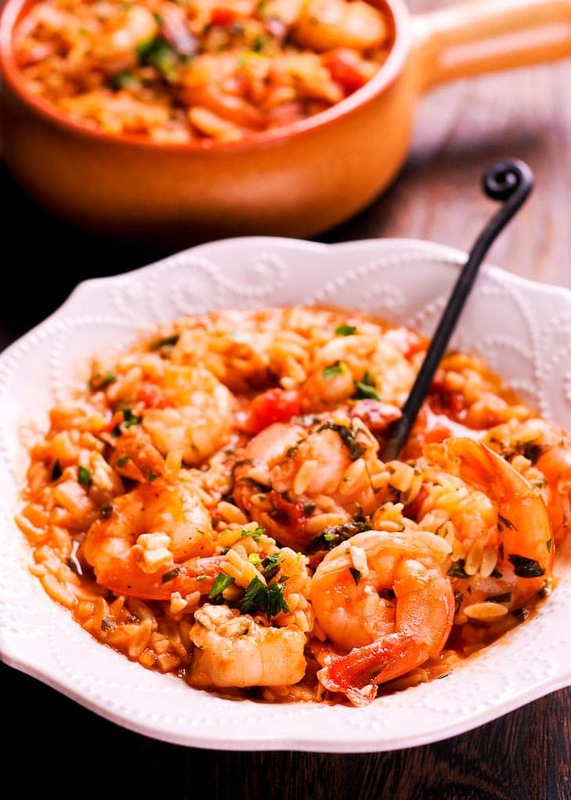 Instant Pot Orzo and Shrimp with Feta is simple, healthy and hearty meal, with lots of Mediterranean flavor as well as many health benefits. 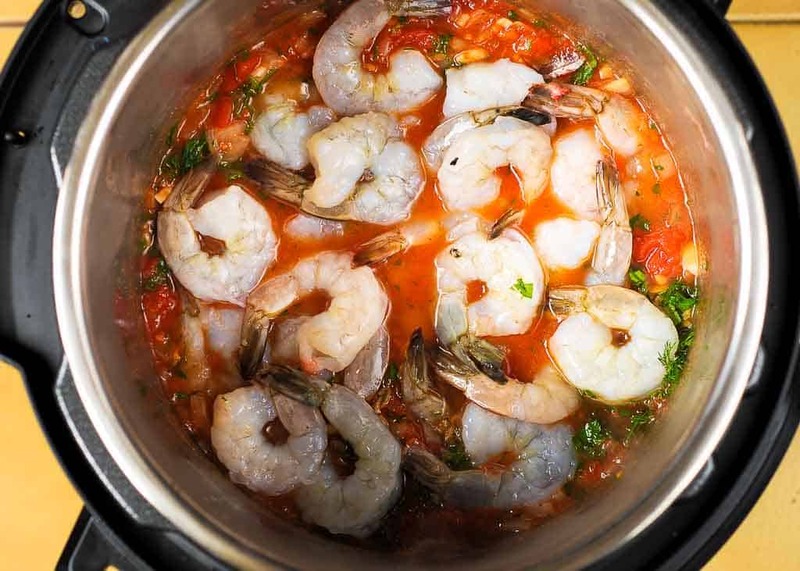 Shrimp alone here is excellent source of vitamins and minerals, such as calcium, magnesium, potassium, copper, iron, niacin, phosphorus, selenium, vitamins A, D, K and B12. Made of goat’s milk, feta is another good source of calcium and potassium. Feta like every dairy product can improve the bone health significantly. Parsley can reduce the risk of cancers such as breast, digestive tract, skin and prostate. Parsley contains high levels of a flavonoid called apigenin. Not only does apigenin possesses remarkable anti–cancer properties, it’s also a powerful anti-inflammatory and antioxidant. Dill weed is a good source of calcium, manganese and iron, and as an antioxidant food. Its flavonoids provide anti-inflammatory and antiviral properties that can kill fungus and protect against free radicals. 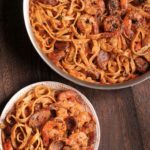 Perfectly cooked Instant Pot Orzo with Shrimp, Tomatoes and Feta is just bursting with juicy goodness and is so easy to cook when using your Instant Pot. Only 3 minutes of cooking on high pressure manual mode with quick release method at the end. 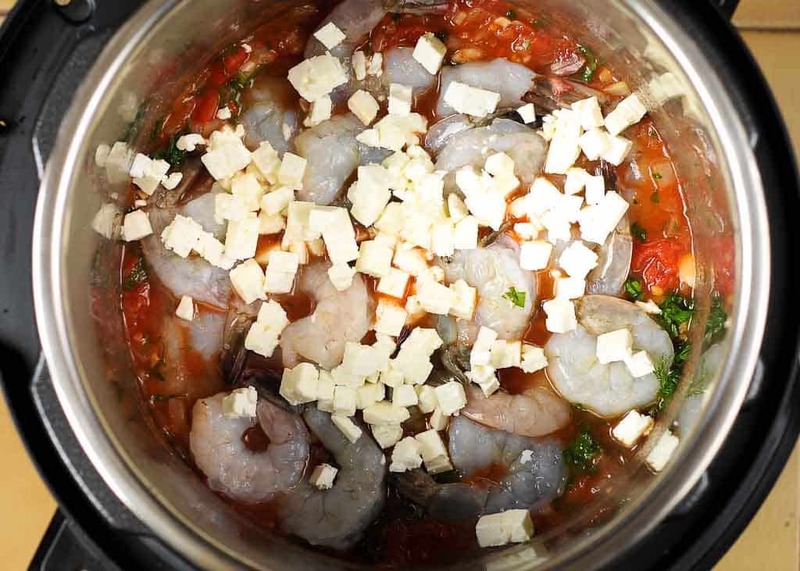 Are you preheating the Instant Pot WITHOUT adding oil first? If you add oil from the beginning the oil can burn to the bottom. Do you add enough oil once the pot is hot? If not enough oil is added, it can easily burn to the bottom. Are you frying your onions and garlic ONLY until translucent, not stuck to the bottom? Do you deglaze after sautéing onions and garlic? Deglazing removes brown bits getting stuck to the bottom of the pot which will cause BURN warning. Did you take out your chicken stock out of the fridge ahead of time to allow it to come to room temperature? If cold water hits the hot pot more water evaporates immediately after adding. 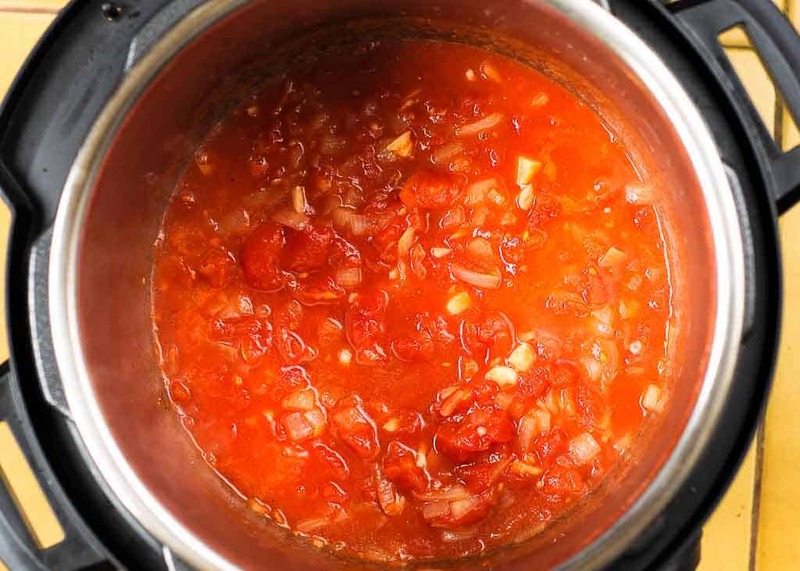 Are you bringing your chicken stock and tomatoes to a boiling point? This will allow the IP to come to pressure faster. Do you add all ingredients swiftly and immediately put on the lid? Doing things quickly avoids water evaporation, which in turn will cause rice to stick to the bottom and cause BURN warning. Set Instant Pot to Sauté mode and add olive oil. Add the onion and garlic and cook, stirring, until softened and translucent, about 3 minutes. 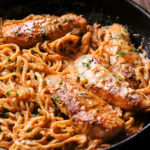 Make sure to deglaze the pan with a splash of water or chicken stock to avoid anything getting stuck to the bottom of the pan as that may cause BURN warning. Now add the tomatoes and chicken stock and bring to a boil. It’s important to ensure that the liquid reached boiling point. Stir with a wooden spoon to ensure nothing is stuck to the bottom of the pan. These two steps will ensure that IP will come to pressure fast enough without orzo getting stuck to the bottom of the pan. 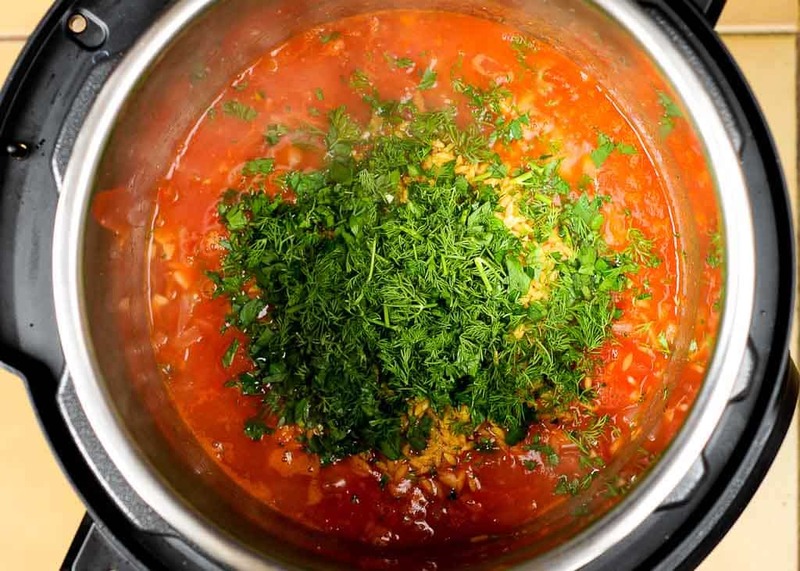 Add orzo to the tomato mixture. 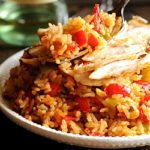 What is Orzo? 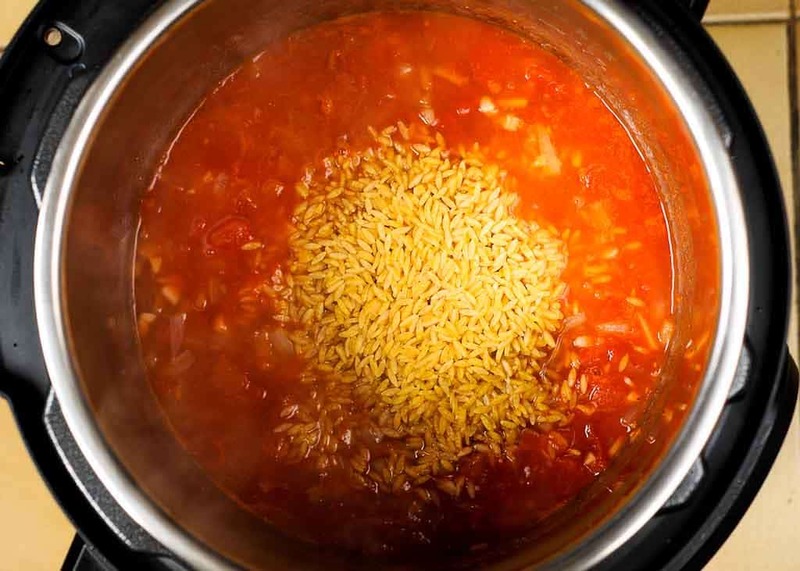 Orzo is a type of pasta, shaped like a large grain of rice. It’s adaptable in many dishes, and delicious warm or cold. Next, add all the fresh dill and parsley. Lots of amazing aroma there! Mix them well in to the sauce and orzo. Now it’s time to add shrimp. Followed by feta cheese on top of the shrimp. Close the lid, set to Manual, 3 minutes, High Pressure. Once done, use Quick Release to release pressure. 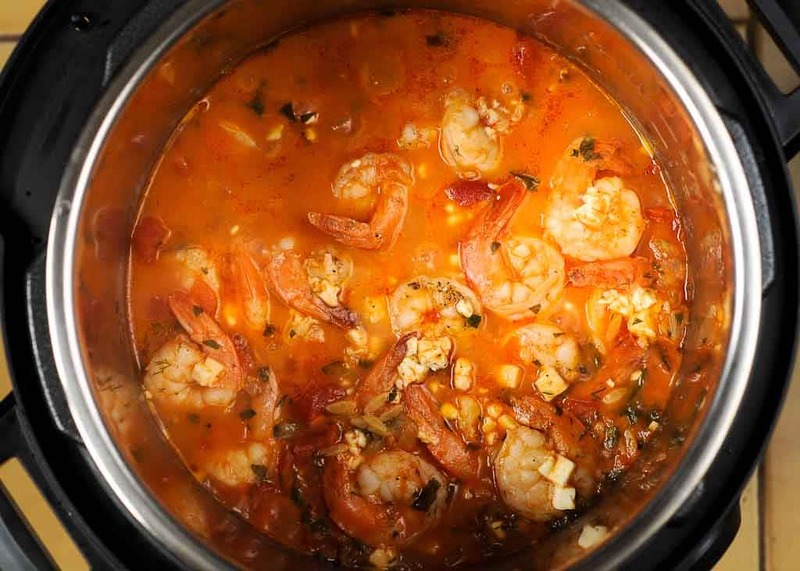 Instant Pot Orzo with Shrimp, Tomatoes and Feta is done! Instant Pot Spatchcock Chicken with Mustard Crust. 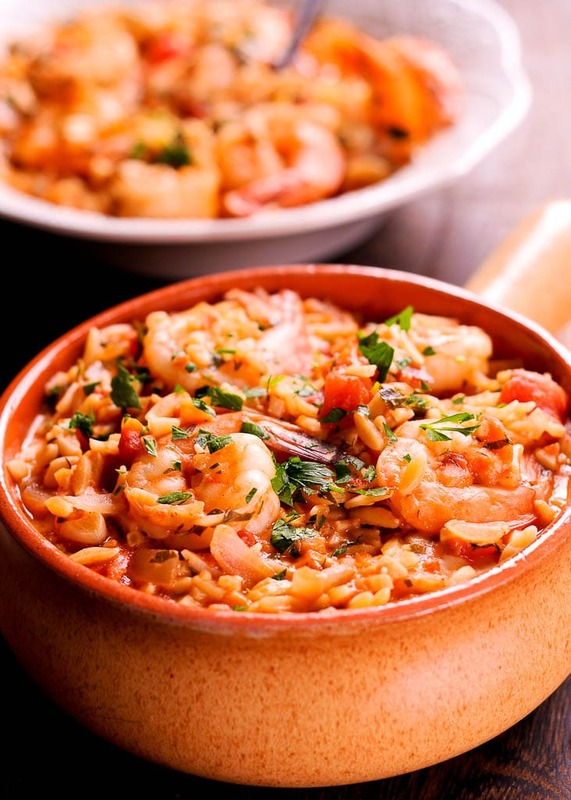 This Instant Pot Orzo with Shrimp, Tomatoes and Feta recipe is the most mouthwatering combination, pressure cooked only for 3 minutes in a rich tomato sauce, fragrant with parsley and topped with feta cheese. Set Instant Pot to Sauté mode and preheat before adding any oil. Add olive oil, and then the onion and garlic. Cook, stirring, until softened, and translucent, about 3 minutes. Deglaze with a splash of water or stock to prevent anything getting stuck to the bottom and BURN warning. Next add the tomatoes and chicken stock and bring to a boil. Stir to make sure nothing is stuck to the bottom. Add orzo, dill and parsley and mix well. Next shrimp and season with salt and pepper. Add feta cheese over the top. Set Instant Pot on Manual High Pressure for 3 minutes. 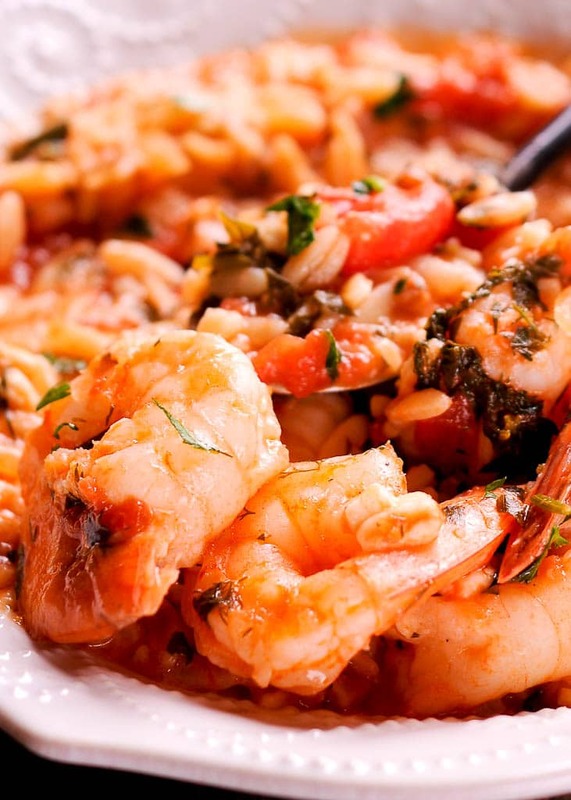 Once done, use Quick Pressure Release to avoid overcooking orzo and shrimp. I made this for the first time tonight and I think it turned out great! I used frozen shrimp and quinoa instead of orzo otherwise I followed the recipe to a T. Even though I used frozen shrimp, I felt like the shrimp was a little over done but still delicious. Thank you for the recipe. I really appreciated the step-by-step tricks as well. Nothing stuck to the bottom of my pan. Thank you Kami for posting your results. Especially with the frozen shrimp. I made this and had some of the issues otheres have had. The orzo fell to the bottom and stuck and interfupted the cooking. I ended up finsihing it in sautee mode. 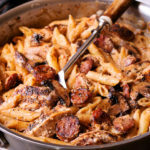 The flavor was good and we still had it for supper!